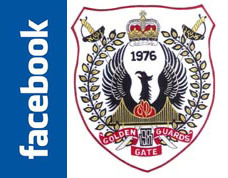 The Golden Gate Guards are actively soliciting for Sponsors and Advertisers for our events. To learn more, check out the 2019 Sponsor's Brochure and the 2019 Advertiser's Brochure for details. The Golden Gate Guards are actively soliciting for Sponsors for our 9th Annual Leather Cruise. To learn more, check out the 2019 Sponsor's Brochure for details. Here are the organizations and businesses who provide assistance to the GGG, our events and our beneficiaries throughout the year. We encourage you to support them whenever possible. The sponsors for ? will be listed soon... Generally, the list will appear here after our annual Year Book has been released sometime in late April.